Lollapalooza Official Exchange is Never Sold Out + Win VIP Tickets! Lollapalooza is Never Sold Out + Win VIP Tickets! 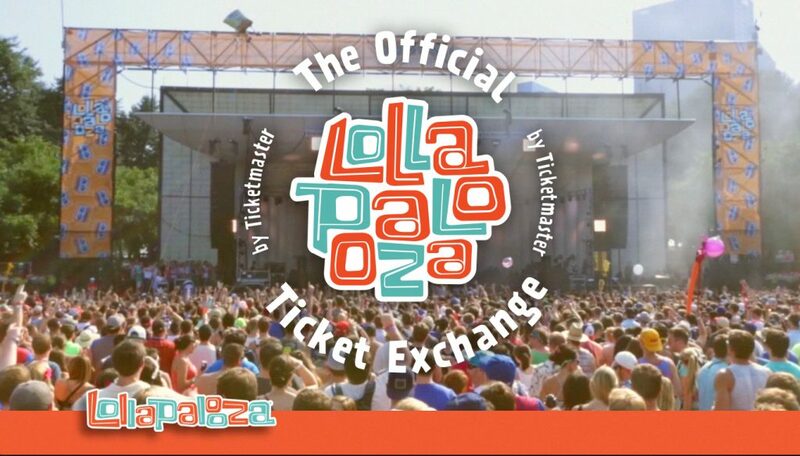 Lollapalooza and Ticketmaster have partnered to bring fans the Official Lollapalooza Ticket Exchange – the only 100% safe and secure marketplace to buy and resell tickets. And when you buy or sell on the Official Exchange we’ll hook you up with a chance to win a 2017 VIP upgrade or VIP passes to Lolla 2018! So hit up that group text and tell the squad there’s still time to get in to Lolla this year and see Lorde, Chance The Rapper, The Killers, and all the amazing acts coming to Chicago’s Grant Park August 3-6 because Ticketmaster’s got you covered! Internet person and festival expert Frankie Greek will be hitting Lollapalooza this year as our festival correspondent and she’ll be sharing insider protips on how to make it the best Lolla ever. Watch the video below to meet Frankie and find out how you could win a VIP upgrade just by using the Official Lollapalooza Ticket Exchange. Ticketmaster verified tickets are 100% guaranteed real and the Official Exchange is the ONLY guaranteed safe and secure way to buy and resell Lolla tickets. Many unofficial sellers post tickets, but as an official Lolla partner only we can guarantee your tickets are authentic because the Official Lollapalooza Ticket Exchange uses our exclusive barcode verification technology to deactivate the old wristband and reissue you a new one. Whether you’re looking for a full weekend wristband or just a one-day pass, the Official Ticket Exchange has you covered. You can even buy or sell passes after the festival has started, so no more last minute FOMO. Access the Official Ticket Exchange whenever you want from wherever you are to buy or sell tickets straight from your phone! Fans who use the Official Ticket Exchange also have the opportunity to enter our VIP Sweepstakes. Fans who buy from the Exchange can enter for a chance to win a VIP upgrade for this year. Fans who use the Exchange to sell tickets can enter for a shot at VIP passes to Lolla 2018. From the lineup to all that Chicago has to offer, Lolla 2017 should be on your Summer must list. The Official Lollapalooza Ticket Exchange is the only way to know the tickets you are buying are guaranteed to be real. (Our competitors can only “guarantee” you’ll get a refund if something goes wrong, but wouldn’t you rather know you’re getting in?) And if for some reason plans change and you can’t make it to the festival anymore, the Official Exchange is the best way to sell to trusted buyers. No more worrying about getting scammed. Dance your way right into the festival knowing your wristband is 100% real, and focus on what’s most important — having fun! Follow Frankie on the road to Lolla and keep up with her at the festival! Now Lolla is NEVER Sold Out + it’s NEVER Too Late to Score 100% Verified Tickets!